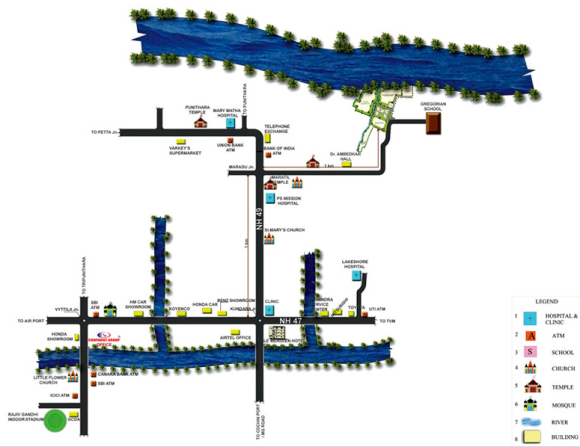 Confident Peninsula as it is rightly called is situated on the banks of the back waters of Maradu, Kochi. Kerala though its called the god's own country is short in terms of beautifully located villas. Now the shortcoming is fulfilled with the accomplishment of this prestigious project by the most popular and trusted builders of Kerala - "The Confident Group". Confident Peninsula is Kerala's most desirable and exquisitely crafted water body facing project that can be compared to the class of international standard villas. Spread over a Lakh Sq. Ft of prime property in the prime location of Kochi boasting of 14 exquisite villas, each of them setting their own standards in their own unique way. Each villa has got a jaw dropping view, a unique ambience and realistic beauty. The villas of Confident Peninsula are a perfect blend of Kerala's traditional architectural charm with luxurious and modern comforts. Packed with aquatic recreational activities, this waterfront project, is definitely one of a kind. In fact, the only kind. Designed by SAA, the giants of Singapore, in association with CDS - the best team from Bangalore, this project promises to be one of the coolest to-be property in God's Own Country. There's no better place than here, to treasure moments while gazing at the famed picturesque backwaters of Kerala. There is just no other place than this to built your own happiness. 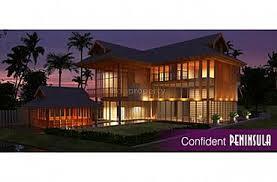 Come on in to be a proud part of the confident group family by booking the dream of your life "Confident Peninsula".